EDIT by MODERATOR - The original poster of this article was found to be using another user's gallery pics and claiming them as their own improvement pictures. Please do not take ss14's statements as truthful/unbiased as they have not returned to comment ever since this descrepancy was pointed out. Its called AcneFree Scar eraser. It so claims to fade away red marks and reduce the apperacne of pock marks (icepick scars)by using hydroquinone and oxygen-peptide A. Well it did a micale for me , my acne which was completly but that had nothing to do wit the cream..my life saver accutane did that but the annoying red marks and ice pick left behind made it seem like nothing had changed. heres the link to the thread really old thread i found.. I dont want to mislead u guys but its only 19.00 and may not work for the really deep scars as for me i tried everything alot products that worked for most didnt do sh#t for me so keep trying maybe this is the one for u. ooOoo i also use 40% glyoic peel but i had been using that beofre it did very little. EDIT: alot of u are getting mislead. This cream is no doubt, good and it def worked for me but alot of u seem to think that this is better thn laser its NOT. My scars were juss shallow enough to have cream make them disapear but for those deeper ones u are def better off wit a laser as ive said above. Wow, that is very dramatic. Who makes this product? Do you have a link by chance? But still, the improvement is only so much. Overall the texture of your skin improved. SO those are YOUR before/after pics? u guys are gettin me wrong....those are NOT my before and after. The first picture is the kind of scars something the cream would improve..it the kind of sccars i had (a little worse thn that picture) . how long did it take for you to see improvement then? how much % improvement have you seen? are your scars similar to those in the pic or better or worse? He said his are a bit deeper than the first pic. I think this could work as it has peptides in it and I have been using a high end product with peptides, the alloette cellular correcting complex, and seen some results. I think I may go to this cheaper one and see what happens. Although, you are not supposed to use hydroquinone for a long period of time because it is said to be carcinogenic, but it is only 2% and not the prescription 5%. My scars are wider with thick edges so this probably won't be a miracle but if it helps it is cheap enough! I love it. I posted a thread about this like ages ago. I used that on much less severe scars than the picture and it improved or mainly rid my face of everything but 1 raised scar and 3 small ice pick scars. I still use it everyday. It called AcneFree Scar eraser. It claims to fade away red marks and reduce the apperacne of pock marks (icepick scars)by using hydroquinone and oxygen-peptide A. Well it did a micale for me :D , my acne which was completly gone thanx to accutane but the annoying red marks and ice pick made it seem like nothing had changed. heres the link to the thread..
:naughty: I dont want to mislead u guys but its only 19.00 and may not work for the really deep scars as for me i tried everything alot products that worked for most didnt do sh#t for me so keep trying maybe this is the one for u. ooOoo i also use 40% glyoic peel but i had been using that beofre it did very little. is this like a temporary thing or does it really fill in the icepicks? If so I dont understand how hydroquinone could do that, do you? is this like a temporary thing or does it really fill in the icepicks? If so I dont understand how hydroquinone could do that, do you? " the hydroquinone as the box claims is suppose to work with red marks but ive read that alot articles that say it meant more for the perment marks. So if u had acne for along time and some marks juss wont go away on their own this would work since it ligtens (bleaches) ur skin. ss14 did you take any before and after pics of your scars? How is the aloe vera working for you? ok guys i finally got the pictures again...i dont have the bofore picture but i found something really close to it. Your scars dont look that bad, is the closer picture with or without makeup? how long have you been using this product? Ã¢€Â¢ Avoid exposure to sunlight or artificial UV rays (e.g., sunlamps). Darkening of the skin may occur with exposure to sunlight or artificial UV light. Use a sunscreen (minimum SPF 15) and wear protective clothing when exposure to the sun or UV rays is unavoidable. Ã¢€Â¢ Do not use hydroquinone topical on skin that is sunburned, windburned, dry, chapped, or irritated, or on an open wound. It could make these conditions worse. 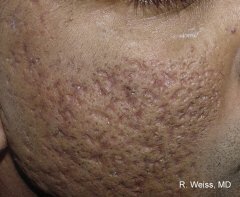 Wait until these conditions have healed before applying hydroquinone topical. Ã¢€Â¢ Hydroquinone decreases the formation of melanin in the skin. Melanin is the pigment in skin that gives it a brown color. Ã¢€Â¢ Hydroquinone topical is used to lighten areas of darkened skin such as freckles, age spots, cholasma, and melasma. Ã¢€Â¢ Hydroquinone topical may also be used for purposes other than those listed here. Ã¢€Â¢ Before using hydroquinone topical, talk to your doctor if you have liver or kidney disease, use other topical medications on the affected area, have allergies to medications, or have other medical problems. 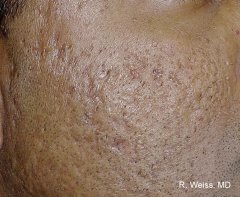 You may not be able to use hydroquinone topical, or you may require a dosage adjustment or special monitoring during treatment. Ã¢€Â¢ It is not known whether hydroquinone topical will be harmful to an unborn baby. Do not use hydroquinone topical without first talking to your doctor if you are pregnant or could become pregnant during treatment. Ã¢€Â¢ It is not known whether hydroquinone will be harmful to a nursing baby. Do not use hydroquinone topical without first talking to your doctor if you are breast-feeding a baby. Ã¢€Â¢ Use hydroquinone topical exactly as directed by your doctor. If you do not understand these instructions, ask your pharmacist, nurse, or doctor to explain them to you. Ã¢€Â¢ Hydroquinone topical is for external use only. Ã¢€Â¢ Wash your hands before and after applying this medication, unless the treated area involves the hands. Ã¢€Â¢ Apply the medication to clean, dry skin. Apply just enough medication to cover the affected area. Avoid application of the medication to unaffected, surrounding skin. Rub in the medication gently and completely. Ã¢€Â¢ Do not apply hydroquinone topical to the eyes, lips, or inside of the nose or mouth. Accidental application of hydroquinone topical to the lips may cause numbness of the lips and/ or a medicinal taste in the mouth. If the medication is accidentally applied to any of these areas, rinse with water. Seek medical advice if the medication gets in the eyes. Ã¢€Â¢ It is important to use hydroquinone topical regularly to get the most benefit. Ã¢€Â¢ Store hydroquinone topical at room temperature away from moisture and heat. Ã¢€Â¢ Use the missed dose as soon as you remember. If it is almost time for the next dose, skip the missed dose and apply only the next regularly scheduled dose. Do not use a double dose of the medication. Ã¢€Â¢ An overdose of this medication is unlikely to be harmful. If you do suspect an overdose, or if hydroquinone topical has been ingested, call an emergency room or poison control left for advice. Ã¢€Â¢ The skin may be more sensitive to weather extremes such as cold and wind. Protect the skin with clothing and use a moisturizing cream or lotion as needed. Ã¢€Â¢ Avoid using other topical products on the same area at the same time unless directed to do so by your doctor. Use caution and talk to your doctor before using hydroquinone topical if you are also using other topical products with a strong drying effect on the skin, products with high concentrations of alcohol, astringents, spices or lime, or other preparations or processes that may dry or irritate the skin. Ã¢€Â¢ Do not use hydroquinone topical with benzoyl peroxide, hydrogen peroxide, or other peroxide products. A temporary dark staining of the skin may occur. If hydroquinone topical is accidentally used with a product that contains peroxide, wash the skin with soap and water to remove the staining. Ã¢€Â¢ More commonly, some burning, stinging, itching, redness, or irritation, of the treated area may be experienced. If these side effects are excessive, talk to your doctor. You may need a lower dose or less frequent application of hydroquinone topical. Ã¢€Â¢ Side effects other than those listed here may also occur. Talk to your doctor about any side effect that seems unusual or that is especially bothersome. Ã¢€Â¢ Drugs other than those listed here may also interact with hydroquinone topical. Talk to your doctor and pharmacist before taking any prescription or over-the-counter medicines, including vitamins, minerals, and herbal products. Ã¢€Â¢ Your pharmacist has additional information about hydroquinone topical written for health professionals that you may read. Ã¢€Â¢ Remember, keep this and all other medicines out of the reach of children, never share your medicines with others, and use this medication only for the indication prescribed. Ã¢€Â¢ Every effort has been made to ensure that the information provided by Cerner Multum, Inc. ('Multum') is accurate, up-to-date, and complete, but no guarantee is made to that effect. Drug information contained herein may be time sensitive. Multum information has been compiled for use by healthcare practitioners and consumers in the United States and therefore Multum does not warrant that uses outside of the United States are appropriate, unless specifically indicated otherwise. Multum's drug information does not endorse drugs, diagnose patients or recommend therapy. Multum's drug information is an informational resource designed to assist licensed healthcare practitioners in caring for their patients and/ or to serve consumers viewing this service as a supplement to, and not a substitute for, the expertise, skill, knowledge and judgment of healthcare practitioners. The absence of a warning for a given drug or drug combination in no way should be construed to indicate that the drug or drug combination is safe, effective or appropriate for any given patient. Multum does not assume any responsibility for any aspect of healthcare administered with the aid of information Multum provides. The information contained herein is not intended to cover all possible uses, directions, precautions, warnings, drug interactions, allergic reactions, or adverse effects. If you have questions about the drugs you are taking, check with your doctor, nurse or pharmacist. the acne free does not have the percentage of hydroquinone in it that most of the information warrants. There are 50% stronger fomulas that can be bought from the dermo. 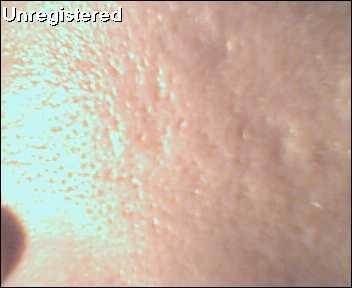 The stuff definately made the redness fade away and what was once indents are level and at the most only seen from close up under harsh lights, with differin on. The 4 that never went away were ice pick scars and a slightly raised scar. Works amazingly on lighter indents though. Hmmm I am almost at a year of using it every day. I do remember it faded out my red really fast but the indents took most of a 5 month course of accutane to really improve significantly. I really like the stuff and am glad I used it. Funny this is like the ONLY acne scar treatment on the market and few people on here have ever seriously used it. Also lots of people use hydroquinone, copper peptides, and a number of other things alone to fight acne scars, when this is a combination of them in an easy to use rub. I use the moisturizer and sunblock that comes with it when I am out in the sun. Lol they prob infringed on another companies copyright. They make a lot of retail products that are exact knockoffs of infomercial and QVC products. I wouldnt lie to any of u though, the stuff does work like it says. well the cream is doing little for my red marks but it working mircles for my indented skin but i am happy about it cuz there are million products out there for red marks but nothing for the indented marks. QUESTION, did u have any side effects at all...after a week of using this cream i could notice that my skin on my face was juss a little but still noticably darker thn my neck...i am tan skin so i get tan very easily but never had it been tanned this fast. QUESTION2also my cream is in a brownish shade.. i know there are some fu#ked up ppl out there who buy stuff and thn fill it with something else and return it. ive seen this same product come in white and brown? is this normal? ss14 - if you dont mind me asking, what colour are you and do you think that this has effected you skin tone?